Sport 4 Life Cochrane was created by a small group of Cochrane residents and as they were inspired by Long Term Athlete Development and the promise of supporting everyone on their physical literacy journey. 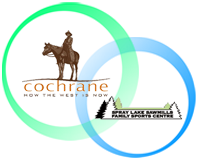 Sport for Life Cochrane assists and supports local sport, recreation groups and the community at large to ensure opportunities to participate in the right activities at the right time, with the right leaders exists for all Cochrane and area residents (youth in particular). Sport 4 Life Cochrane (S4LC) is a non-profit organization of physical activity providers and promoters that inspires commitment to physical literacy in children and youth through education and training; resources; mentorship; advocacy; and networking. I am inspired by people who really listen! A little quirk about me is that I tried to get a refund when I found out I could not take the stairs up to the top of the CN Tower! I am inspired by connection. Connection with others. Connecting to nature. Feeling the connection with my body and how it moves. Feeling connected with the community. A hero of mine is my mom. She is a loving, community minded woman who is always willing to help someone in need. My mom has an infectious energy and is a true example of how your everyday actions and choices can make the world a better place. A little quirk about me is that I feel naked without earrings! I am inspired by people who push the boundaries of their comfort zones – regardless of whether their current comfort zone is big or small. A hero of mine is my mom. At 83, she still continues to change and grow and make a difference to everyone around her. She inspires me!! See Question 1. An outdoor enthusiast and a really knowledgeable woman! Pam was celebrated on Cochrane Now for International Women's Day. She exemplifies strength, volunteerism and a positive role model. Angela is a huge supporter of the community with volleyball, badminton. She is inspiring!